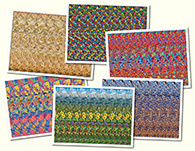 Crazy night : Stereogram Images, Games, Video and Software. All Free! 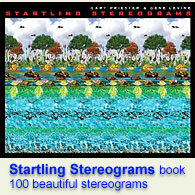 This is a screen version of a stereogram poster 19 x 13 inches (48 x 33 cm). If you would like, you can order poster from BinaryPrints. 2. So much detail that it was hard to make out at first. I couldn t even tell what it was at first. That s a compliment. The image hits you really hard once you can see everything at once! 7. Wow the detail of the skeletons is amazing! Especially the two back on the roof. Wow! 9. I can see it popping out but couldn t catch the details wat is it?? 11. the walking dead ! 14. There are only 7 of them and one of them is acting as a stool to help another one clime to the roof.